Our colleagues at Elgin County Archives hold the Norman B. ‘Nipper’ Scott fonds, which includes materials relating to Scott’s career as a pilot during the First World War. Scott trained at Camp Rathbun in Deseronto, among other places, before joining the Royal Flying Corps’ No. 11 Squadron in France. Elgin County Archives have digitized Scott’s pilot log book and made it available online [PDF]. It is interesting to see the flights logged by a trainee pilot at Camp Rathbun, and Scott’s subsequent activities on the front line in France. This page shows the flights taken by Scott this week in 1917: his third week as a cadet. You can see that he was already taking solo flights in this week, and getting a good tour of the local sights: Napanee, Belleville and Kingston all feature in his log. The serial numbers of the Curtiss JN4A aircraft Scott flew are listed. We have two photographs of one of the planes, C593, in our digital collections. Let’s hope Nipper Scott wasn’t responsible for this particular landing. The CIBC branch in Deseronto will be closing its doors for good this summer, bringing to an end more than 120 years of banking history in the town. In 1904 the Bank of Montreal built a new structure at Centre and Main on the corner of the park lot. In 1928 the Standard Bank was taken over by the Canadian Bank of Commerce. During the Great Depression it was common practice for banks to rationalize their branches and transfer customers to another firm. The Bank of Montreal closed down in 1932 and its customers were moved to the Canadian Bank of Commerce. The Bank of Montreal building was taken over by the Town of Deseronto and became the Town Hall in 1945, with Council holding its first meeting there on November 15th of that year. In 1961 the Canadian Bank of Commerce merged with the Imperial Bank of Canada to become the Canadian Imperial Bank of Commerce. The CIBC Deseronto branch celebrated its 100th anniversary in 2005. 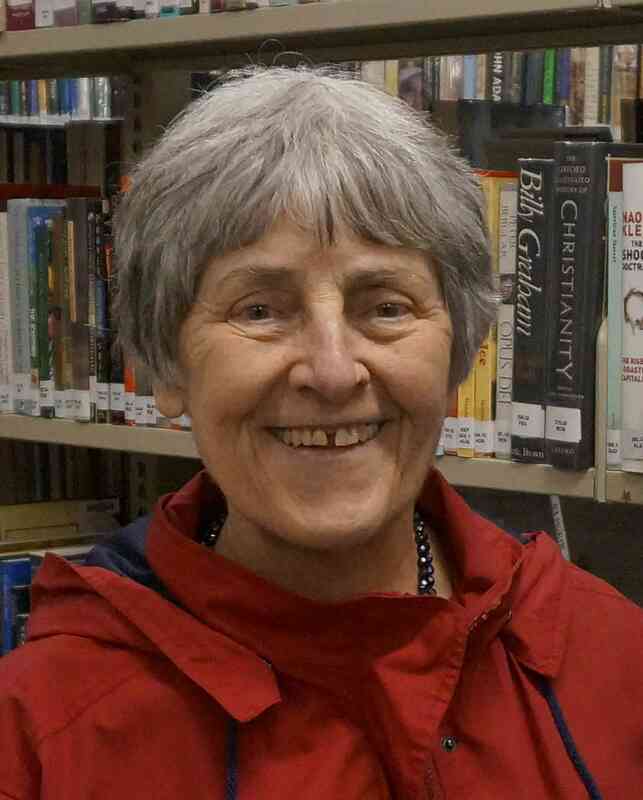 The Deseronto Public Library and Deseronto Archives were delighted to welcome Frances Itani back to town to mark the culmination of the Tri-County Reads events for 2015. Tri-County Reads is a joint program of the Public Libraries of Northumberland, Hastings and Prince Edward County and this year the book chosen was Frances Itani’s Deafening, a First World War novel which is partly based in Deseronto. The Deseronto event on October 17th began with a guided walk for around 45 people around Mill and Main Streets. The photograph shows the tour group as it passed what is now the Dockside Tavern. 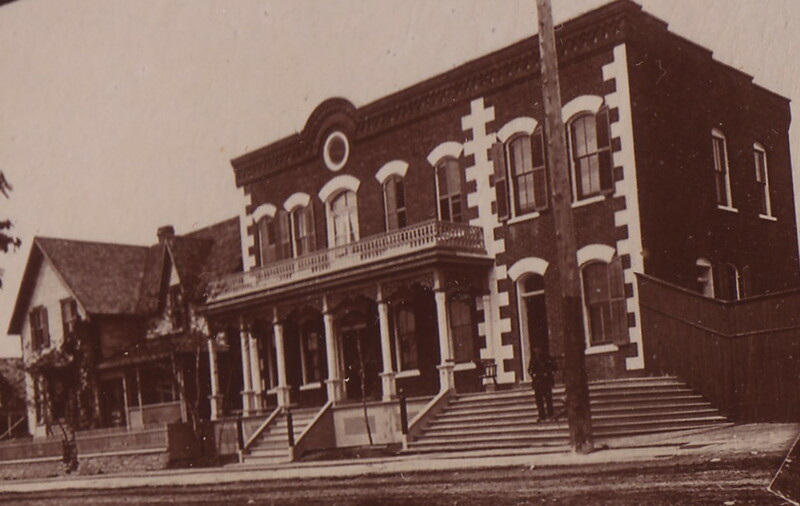 This building was originally the Empress Hotel, owned by William Jamieson. Jamieson’s widow sold the lot to John Freeman, Frances Itani’s great-grandfather, who ran it as the Arlington Hotel. Itani’s grandmother, Gertie Freeman, was born in the house adjoining the hotel in 1898. Gertie became deaf at 18 months and her life experiences formed the inspiration for Grania, the main character in Deafening. Like Grania, Gertie attended the Ontario Institution for the Education of the Deaf and Dumb (now the Sir James Whitney School for the Deaf) in Belleville. The walking tour also stopped outside the Post Office and Naylor’s Theatre, both of which featured in Deafening and its sequel, Tell. Afterwards, the group convened for lunch at the Legion, followed by a fascinating talk from Frances Itani on the inspiration and process of writing the novel Deafening and Tell. Fans of the novelist will be pleased to hear that Frances is currently working on the third novel in the Deseronto trilogy. This one will take a particular interest in the experiences of people who are adopted and Frances is keen to interview individuals who are adopted and who are willing to share their thoughts with the author. Please email the Archives at deseronto.archives@gmail.com if you were adopted and would be happy to be interviewed by Frances for her next Deseronto-based book. Due to a technical hitch on the day, the visuals weren’t available, but this version includes the slides! The building which is occupied by Canada Optical at present housed a match factory in the 1920’s, a meat packing plant in the early ’30’s and a cheese factory after that. 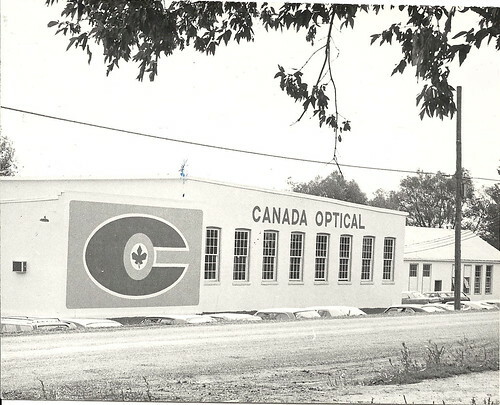 Canada Optical started operations in 1946; in 1947 an extension was added to the factory, this consisted of an old hanger from the nearby wartime airfield. 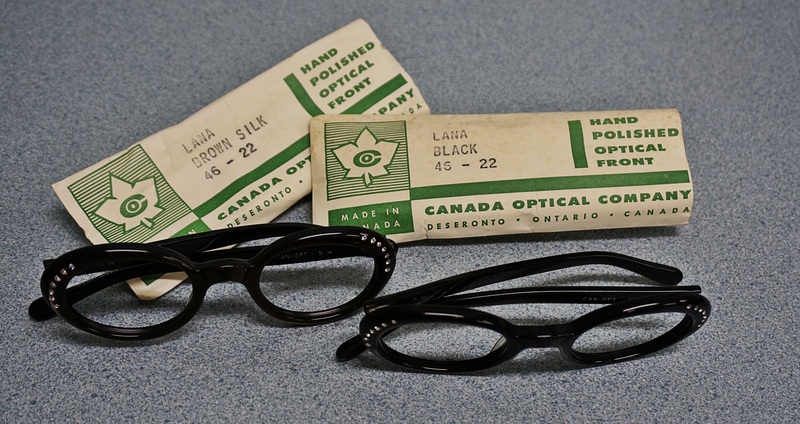 At this time the firm was called the Canada Zyl Company, (it is still known by this name to local residents) and was producing four or five different types of spectacle frames in only two colours. They were made of a highly inflammable material and had to be stored in thick walled buildings well away from the main plant. The factory moved from this location in 1996 to a building at the airport on the Tyendinaga Mohawk Territory. It closed down in 2002. Thanks to Andrea Hinz for the donation of these frames, another piece of Deseronto’s manufacturing past. 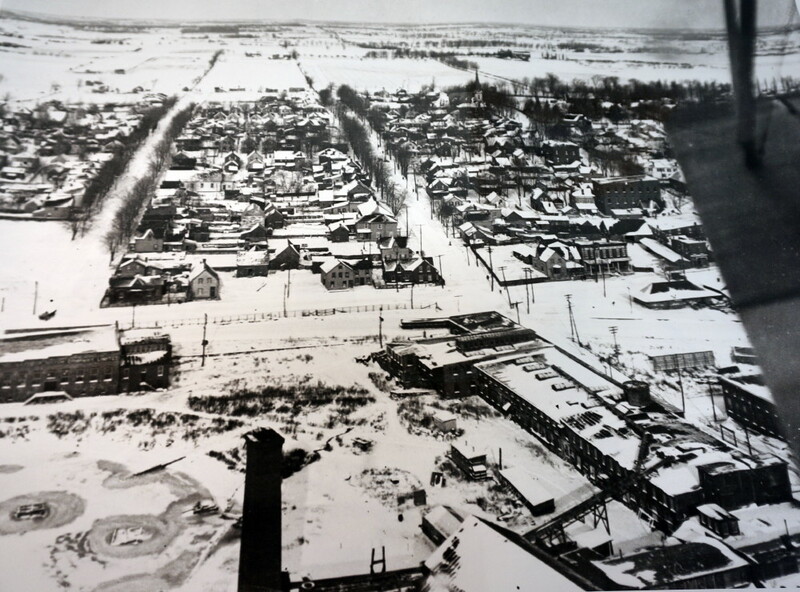 This aerial photograph is a reproduction of an image held at Library and Archives Canada. It is undated, but was probably taken around 1920, judging from the visible buildings. 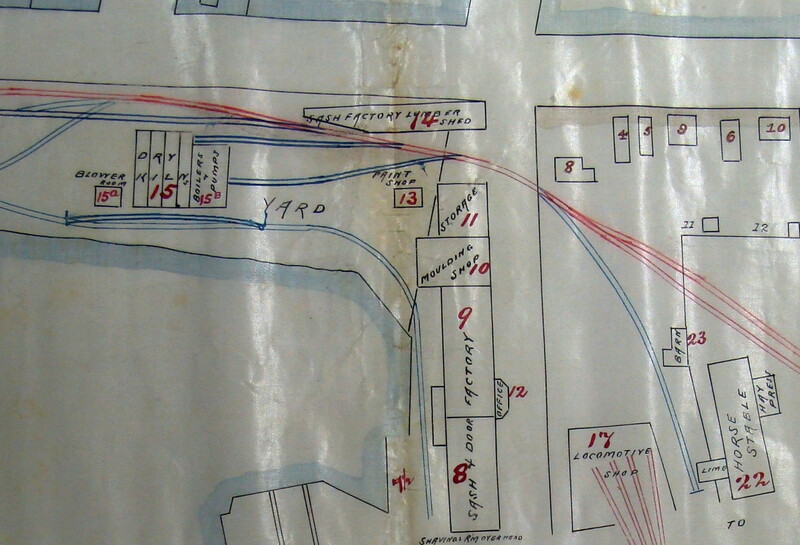 Right at the bottom of the picture is the chimney of the Big Mill, and on the right is the sash and door factory which took up the western side of the bayshore end of Mill Street. The two roads stretching away from the photographer are Green Street and Mill Street, both of which were lined with trees. 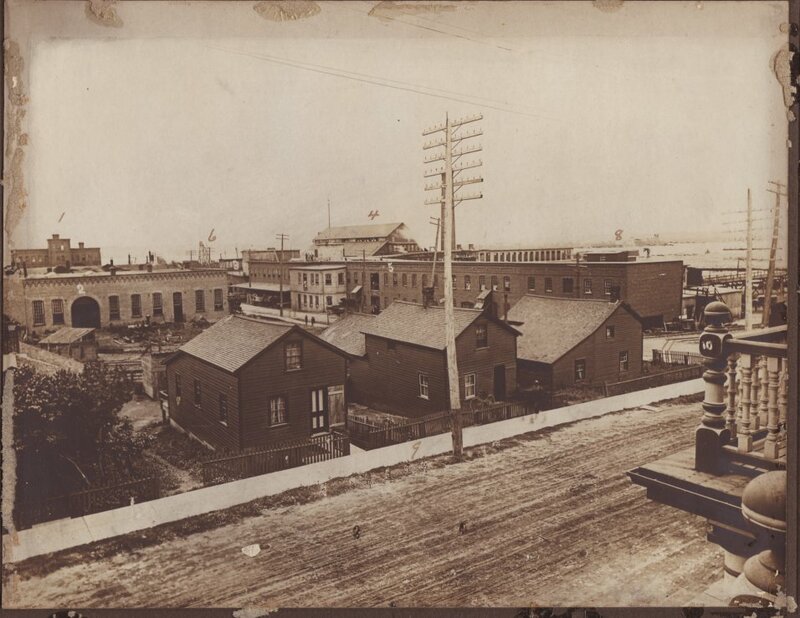 The Arlington Hotel can be seen on the middle right of the image, with the Canadian National Railway station just in front of it, on the other side of Main Street. The Archives will be closed on Christmas Eve and New Year’s Eve, but will be open again on January 7th. We’d like to take this opportunity to wish you a happy and peaceful midwinter break! Estella Burkett was a teacher at the Deseronto Public School. She was born in Maynooth, Ontario in 1913 to Agnes Shields and Patrick Burkett. The picture below shows her with her class of children in 1949, outside the old Public School building. Estella retired in 1974 and lived in Belleville until her death in 2010 at the age of 97. Estella did a considerable amount of travelling in her vacations and she donated some of her photographic materials and notes about her excursions to the Deseronto Archives in 2004. These materials include some photographs taken on a trip to Berlin in 1955, ten years after the end of World War II and six years before the city was divided by the construction of the Berlin Wall. Estella took photographs of the monuments her tour group visited, including this image of a statue of Joseph Stalin, which was removed in 1961 and melted down. She also photographed the Brandenburg Gate, which would be isolated by the Berlin Wall six years later and impassable until the Wall’s destruction in 1989. The damage caused to the Gate during the Second World War is visible in this image. These photos are good examples of the way that small local collections can be unexpected sources of information about entirely different parts of the world. It’s not until we dig into the boxes and do the work of describing the materials, that it becomes possible for everyone else to see what is in them.